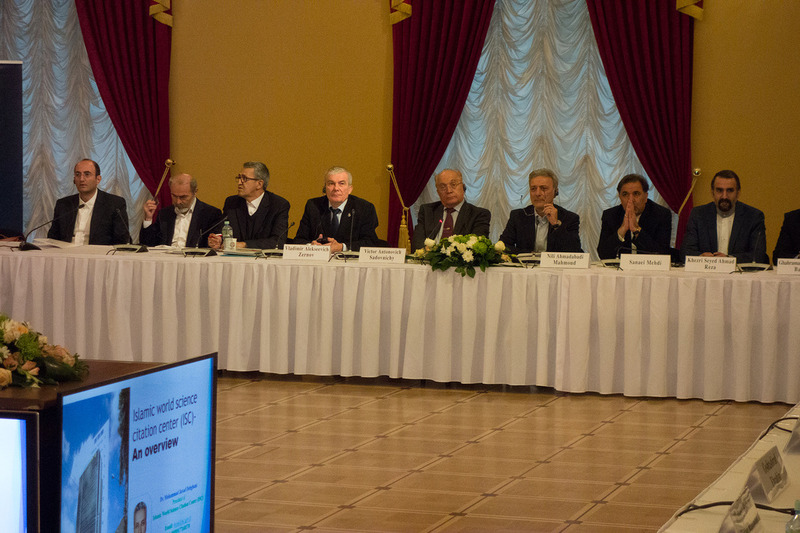 On October 27th, 2017, Lomonosov Moscow State University hosted the 3-rd Rectors’ Forum for Top Universities of the Russian Federation and Islamic Republic of Iran. Among the participants of the Forum there were Assistant to the President of the RF Andrei A. Fursenko, Ambassador Extraordinary and Plenipotentiary of the Islamic Republic of Iran (IRI) to the Russian Federation (RF) Mehdi Sanaei, Minister of Roads and Urban Development of IRI Abbas Akhoundi, leaders of 13 Iranian and 20 Russian universities, including Russian New University (RosNOU). The Forum participants presented and discussed results of Russian-Iranian two-year cooperation in scientific and educational spheres. It’s such a pleasure that we’ve got not only business relations but also the friendly ones with many of the universities present, – noted RosNOU’s Rector Vladimir A. Zernov. – There are students from 29 countries from all over the world in our university, and Iran is usually among the leading countries in terms of the number of students from it. We also have a plenty of different events in which international students take an active part, and due to that we receive notes of acknowledgement from different embassies. Our university has Iranian Culture & Persian Language Center, and I give full support to the initiative of the University of Tehran’s President Prof. Mahmoud Nili Ahmadabadi to identify those weak points that impede the development of our cooperation, as well as to expand plans of our joint activities, including those connected with university rankings. According to our students from Iran, they enjoy living and studying in Russia, and Russian students who go to Iran to learn Persian say the same about Iran. However, in order to get from the cooperation not only joy but also mutual benefit, we need to coordinate particular items and step by step solve those problems that arise on our way. I wish everyone present luck in their work and I hope that our cooperation will remain productive. The next Rectors’ Forum for Top Universities of the Russian Federation and Islamic Republic of Iran will take place in Iran in autumn 2018.